Mumbai Sep 30: Women bring prosperity, not only to our home but to our Nation, said Hon’ble Minister for Finance, Planning and Forest, Shri Sudhir Mungantiwar while awarding women for their excellence in field of Tourism at MITM. The International Institute for Peace through Tourism (IIPT) awarded five distinguished women for their contribution in a unique manner to tourism industry. The IIPT Award carried a special significance, as it was hosted by a unique entity – IIPT – which works for promoting peace through tourism globally. Ms. Anita Deshpande Malik was awarded for her outstanding performance of setting Temple Pilots and she set up the Paragliding Academy and taught 1000 women to practice paragliding and she has popularized paragliding sports in Kamshet, Pune. The Second Awardee Ms. Pamela Malhotra who started India’s first private sanctuary known as SAI Sanctuary spread over 300 acres. She won the Award for promoting eco-tourism in Coorg, Karnataka. Another winner, Ms. Rashmi Sawant created a cultural space for preserving values and tradition in the name of ‘Cultural Aangan’ in Sindhudurg. The Award was conferred for her contribution in promoting rural tourism. Ms. Neelu Singhwas awarded for creating unique products targeting women tourists in her online portal ‘Ezeego1’ for Technology in tourism and actor Ms. Sampada Kulkarni for leaving her dynamic film career for giving job opportunities for locals in Ratnagiri district. She created ‘Anandache Shet’, which is on a global map, as it attracts many tourists from across the globe. Ms Valsa Nair Singh, Principal Secretary Tourism and Cultural Affairs, GoM at the award ceremony said, “IITP awards is a unique felicitation for actions which made a difference to the industry and we congratulate the winners today. Their work is remarkable and needs global recognition, we are glad that IITP is motivating people to do better day by day”. Founded in 1986 - almost 30 years ago - IIPT (International Institute for Peace Through Tourism) is a not for profit organization. Working very closely with the UNWTO and various governments across the world, IIPT has undertaken very unique initiatives. It works to nurture peace, sustainable tourism, environmental protection and the preservation of indigenous cultures and traditional skills. It was born with a vision of making travel and tourism the ‘World’s First Global Peace Industry’. Its notion is that the travel and tourism industry promotes the belief that ‘Every traveller is potentially an Ambassador for Peace’. 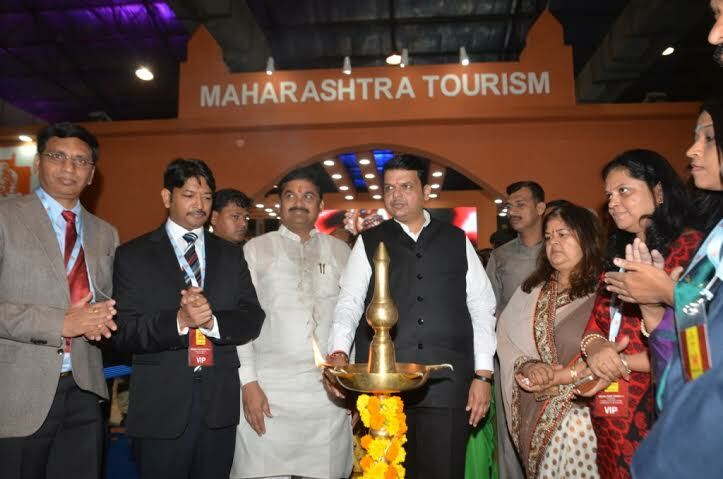 The award ceremony was held on the day two of MITM 2015 with eminent dignitaries like Hon’ble Governor of Maharashtra, Shri Vidyasagar Rao, Hon’ble Minister for Finance, Planning and Forest, Shri Sudhir Mungantiwar, Hon’ble Minister of State for Tourism Maharashtra, Prof Shri Ram Shinde, Principal Secretary Tourism and Cultural Affairs Government of Maharashtra, Smt Valsa Nair Singh, Managing Director MTDC, Shri ParaagJaiinNainuttia and MLA Parag Alawani. ITP, through its Indian Chapter, has been relentlessly working to encourage and develop domestic and inbound ethical tourism in India based on the principles of sustainability, preservation of indigenous environment, culture, public hygiene, protection and safety of women and children. In all its endeavour, IIPT has worked towards mobilizing the travel tourism industry as a leading force for poverty reduction.